On the other hand, the project can be seen as an experimental review of classic furniture upholstery. It reminds us of the famous and iconic deep buttoned (Chesterfield) sofa's, interpreted in a highly contemporary and sculptural way. 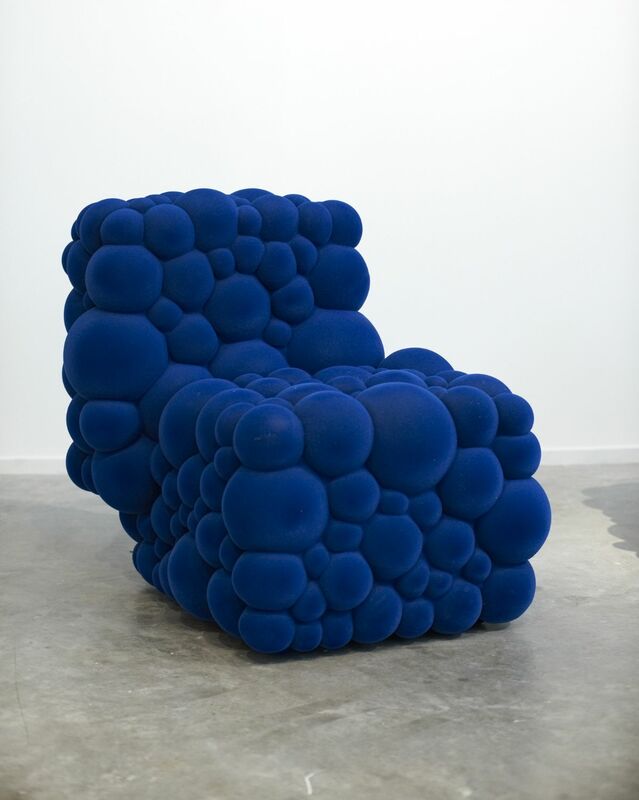 Instead of upholstering springs and foam with leather or textile, these pieces are created by carefully composing patterns with cut-offs of foam spheres of various sizes, and applying them onto a structure. In the end the entire piece gets coated, with a durable rubber or tactile velvet-like finish. It is hardly impossible to ever recreate such a specific pattern, so every piece is completely unique.